Editor's Note: The Tire Review Business Finance Guide is sponsored by Snap Finance, a digital-finance company that specializes in providing consumer financing and rent-to-own purchase options. Ever wonder why you get so many calls from merchant services and credit card processing companies trying to get your business? There are two big reasons, and both revolve around money – your money. The first reason is that as a tire dealer, you provide a perfect opportunity. The owner is often the one answering the phone, combined with the fact that tire dealers historically have an average transaction of $200 (which is music to the ears of a merchant services provider). This leads us to the second reason. Credit card processing can be such a lucrative business. Every time a credit card is used and processed, there are a handful of companies (issuing bank, credit card company, merchant, ISO, merchant account provider, security providers, etc.) that take their respective cut. While these service fees and charges may only add up to a few cents and a small percentage per transaction, they do add up. Unfortunately, the fees are almost always passed on to the tire dealer and are ultimately an unavoidable expense. While accepting credit cards is a paramount priority for most tire dealers, it is a privilege that comes with a price. However, there are many ways to get lower credit card processing fees while lowering your expenses for doing business and your total cost of investment for credit card processing services. Let’s look at a few things you can do that will save you hundreds, if not thousands of dollars this year. Most of the time, your provider will review your current rates and try their best to lower them if you request it. If they refuse to do it, you should find another provider. It is not always possible to get your rates lowered, but a company that will not even do a rate review is doing bad business. Here is a tactic for negotiating that will send chills down the spine of your provider: don’t ask what your current rate is, ask them what their markup over interchange is, and then tell them you want to negotiate a lower markup. 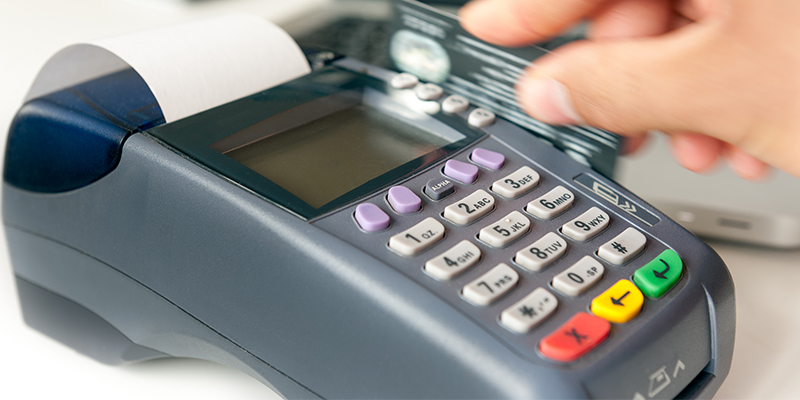 Most credit card terminals cost between $150-$300. If you sign a 36-month lease at $25 per month, you are paying for that terminal many times over. Just imagine how much you are giving away if your payment is $45 per month. Equipment leasing is just another way that your processor is taking more of your hard-earned profits for themselves. Tire dealers are notorious for keying in the card information for regular customers to save them a trip to the store. It may be good customer service, but it is costing you higher fees, and it is also one of the big taboos in PCI compliance. Because that card was not present when you ran the transaction, it is considered a higher risk transaction and has higher fees associated with it. Depending on your provider, you may be paying as much as 2% extra for that one transaction just because you manually entered the card information. Banks provide merchant services. Yes, this is true but all but a few very large banks sign their customers with a private merchant service provider. Banks that do not provide their own merchant services mark up fees from a merchant service provider, so they can also make money on your business. You are basically paying extra for a middle person. Many banks that do provide their own merchant accounts have much higher fees and poor customer service when compared to merchant service providers. They often have much higher equipment prices and will almost always try and push or force equipment leases on their customers. Let your bank handle your checking account, but keep your merchant account separate. Whether you’re fed up with your current credit card processing company or are just shopping around for another option, changing plans may be your best option to get lower fees. Sadly, there are tire dealers who put up with higher fees and sub-par service simply because finding the right alternative is time-consuming, and they’re at least complacently accustomed to the current program and interface. For anyone interested in starting up with a new merchant account, there are reasonable options available. You can find the prices you deserve without sacrificing security or customer service. Changing from one service to another may be a bit uncomfortable at first, but it can be ultimately worth it if you do your homework. The best credit card processing companies have an easy application and are simple to integrate so you won’t miss a beat during the transition. Additionally, you want to make sure that they have customer service representatives available, even after hours. After all, there is nothing worse than a terminal not working and no help available when you have a customer standing in front of you at the counter. If a company makes you feel uneasy or you feel like they aren’t being honest with you, you should trust your instinct. Shop around. There are hundreds of providers out there, so if a company brings up questions, find someone else. If your current company can’t or won’t give you their mark-up, kick them to the curb and find someone who will. The bottom line is: Don’t be shy. If you haven’t checked rates within the last year, do it now. Demand the things we’ve just covered above and don’t waiver. It’s time you took control. Craig Roll is an expert in merchant services and credit card processing. He is the managing partner of Tire Dealer Processing, a merchant services and credit card processing company that specializes in tire dealers. He can be reached at 800-979-1516 or [email protected] For more information, visit www.TireDealerProcessing.com. The Tire Review Business Finance Guide is sponsored by Snap Finance, a digital-finance company that specializes in providing consumer financing and rent-to-own purchase options.